A new flying kangaroo has taken to the skies with Qantas-branded Airbus A320s commencing services in Western Australia in April. Sourced from fellow Qantas Group subsidiary Jetstar, the aircraft are flown by Network Aviation under the QantasLink brand. The two aircraft retain their Jetstar 180-seat all-economy cabin interiors, and have replaced two-class Qantas Boeing 737‑800s on selected intra-WA services to minerals-rich destinations. Importantly, the move frees up two Qantas 737s to be redeployed on other routes. This includes the newly-launched additional non-stop services between Perth and Singapore. Since the days of Qantas’s domestic predecessor, Australian Airlines, Boeing 737s have been the backbone of its narrowbody operation for 30 years. As such, seeing the A320 in Qantas livery might seem a bit strange, given the flying kangaroo’s decades-long reliance on the baby Boeing. But while the mainline Qantas operation still operates a streamlined fleet of just two aircraft types on domestic services, the 737-800 and widebody Airbus A330, no fewer than four separate entities operate a further four aircraft types under the QantasLink brand, from the Network-operated Fokker 100s and the newly-arrived A320s, to Eastern and Sunstate-operated Dash 8s and the Cobham Aviation-operated Boeing 717s. Meanwhile, Qantas’s successful launch of Jetstar in 2004 has seen that airline grow from an initial fleet of inherited Boeing 717s to more than 100 Airbus A320s, in service across Australia, New Zealand and Asia. 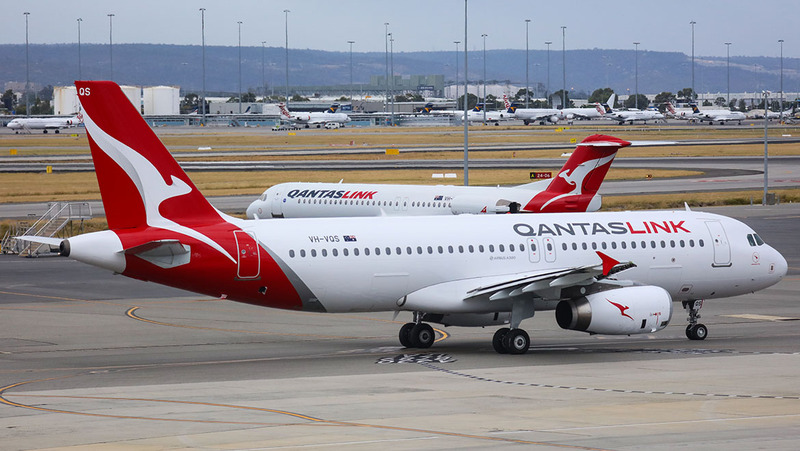 Consequently there is a great deal of knowledge within the Qantas Group on the operation and flying characteristics of the A320, including an understanding of its operational strengths and weaknesses compared to its Boeing competitor. 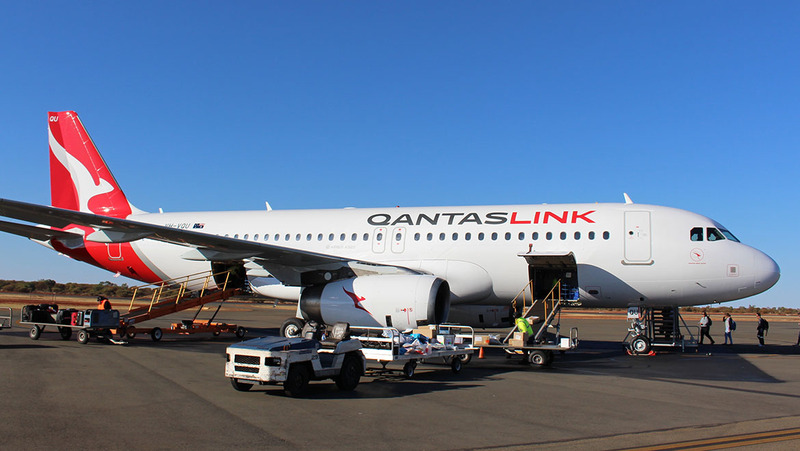 “Introducing these two A320s in WA is about having the right aircraft on the right routes based on the needs of the market,” a QantasLink spokesperson told Australian Aviation. Joining 17 Fokker 100s already flown by Network Aviation, the A320s are expected to become a mainstay of the QantasLink fleet. This move required extensive training to transition Network’s pilots from Fokker 100s to the Airbus, while also integrating experience that new recruits possessed from previous flying on the A320 family. “The aircraft will be operated by Network Aviation cabin crew and pilots, including many who had prior A320 experience, and we’ve worked with parts of the Qantas Group including Jetstar to support the training requirements,” explained the QantasLink spokesperson. Introducing a new aircraft type to Network Aviation involves a level of complexity unseen to passengers. The Airbus flight management systems and indeed its flightdeck design philosophy differs from that of the Fokker 100, resulting in a paradigm shift for pilots transitioning to the new type. To ensure a smooth introduction, Qantas Group set up a cross-functional project team to oversee the introduction of the A320 in Western Australia. This team included representatives and experts from all areas of the business, including engineering, flight operations, ground handling and sales. Its mission was to ensure the safe and seamless introduction of this new aircraft type to QantasLink’s WA network, with work commencing well ahead of the February 2018 delivery date of the first aircraft. “We’ve tapped into deep expertise within the Qantas Group as part of the training process, as Jetstar has been operating the A320 for over 14 years, and we have worked closely with all parts of the Group for flight operations and cabin crew training,” explains QantasLink’s spokesperson. The first aircraft, VH-VQS, is a 2005-built airframe. Powered by IAE engines, it was repainted in Qantas livery at Seletar in Singapore before arriving in Perth on Saturday February 24. It has since been joined by sister aircraft VH-VQU, in time for the launch of services in April 2018. Externally, both aircraft wear the new Qantas livery, including QantasLink titles, first introduced in October 2016. Clearly displayed on the aircraft’s tail, the logo can also be found on each engine cowling as well as facing the fuselage on both winglets, providing an optimal branding opportunity in customer photos taken from the aircraft window. Other features include QantasLink branding on the aircraft’s belly and the classic flying kangaroo logo displayed under the flightdeck windows, with the name of each aircraft; Kangaroo Paw and River Red Gum, featured underneath. 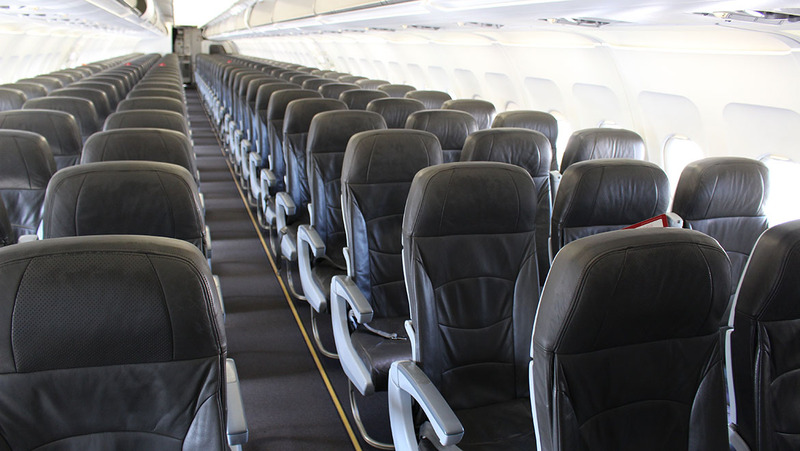 Internally the aircraft retain their Jetstar seats, which are covered in dark leather. Orange trim found in the Jetstar cabin has been replaced with more subtle white and grey colours, while QantasLink safety cards and signage are found throughout the cabin. “The aircraft are configured as an all-economy cabin, similar to our 717s and F100s operating in WA, which means they can carry a higher number of passengers to better suit the demands of the resource market routes they’ll operate on,” the Qantas spokesperson said. Sporting a 29in seat pitch in a 3-3 configuration, the space per passenger is tighter than that found on Network Aviation’s more generous Fokker 100s, which offer up to 34in pitch, though it is comparable with the QantasLink Boeing 717 experience. The exception to this is the three designated exit rows 1, 13 and 14, where greater space is available for those wishing to stretch out a little. When this writer flew (on a frequent flyer redemption ticket) to Newman from Perth in May, service levels were high. The 75 per cent full aircraft was clean and well illuminated with a mix of mood-lighting settings for takeoff, landing and cruise. Hot meals were served shortly after takeoff, while cold drinks, tea and coffee were available, with the energetic and friendly cabin crew handing out bottles of water during the flight. Unlike the Boeing 737, the aircraft are not fitted with either main-screen or seatback inflight entertainment, nor do they offer Q-streaming. Flying out of both T3 and T4 at Qantas’s Perth Airport precinct, they are currently operating to Newman and Karratha. However, the two A320s will eventually find their way further afield once the fleet operations are fully bedded down. Network Aviation is also in the process of recruiting and training first officers, meaning two captains are flying most of the early A320 services. VIDEO –In this YouTube video, SIVIDEO AVIATION captures VH-VQS arriving at Perth on April 15 after operating its first QantasLink revenue flight to and from Karratha. 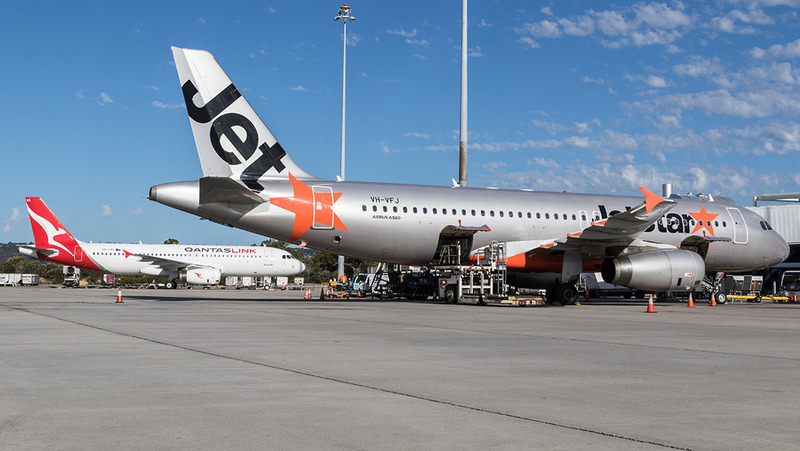 With both aircraft becoming regular sights at airports across Western Australia, Network Aviation will gain valuable insight into the operational benefits of the A320 on intra-WA routes. Certainly the Qantas Group is well aware of the A320’s capabilities, having had years of experience with the type in Jetstar service. In fact so confident is Qantas in the A320 series that it has committed to the purchase of 99 A320neo and A321neos, nominally for Jetstar, with deliveries expected to commence in 2019. But whether or not seeing the A320 in Qantas livery is a glimpse into a possible future 737 replacement sometime next decade, only time will tell. This feature article first appeared in the June 2018 edition of Australian Aviation. Postscript: Since publication, Qantas made some temporary schedule changes due to what it said were pilot training requirements. The twice-daily Perth-Singapore Boeing 737-800 service was replaced by a daily Airbus A330-operated flight from July 22 2018. To read more stories like this, subscribe here. Digital editions of the magazine can be purchased on Zinio and Issuu, or in the Apple app store. Please update story as the two 737s have been replaced by a single A330-200 daily. As it states at the bottom of the article, this story first appeared in the June 2018 edition of the printed magazine, before the change to Singapore was announced. However, a postscript has been added to the end of the article noting this change. 29” seat!! Miners in WA are going to enjoy these that’s for sure. Qantas on the outside, Jetstar on the inside. Little by little they’re eroding the QF brand. If you want good A320 seating, go Virgin as their bus’s have only 168 seats as apposed to network’ 180. 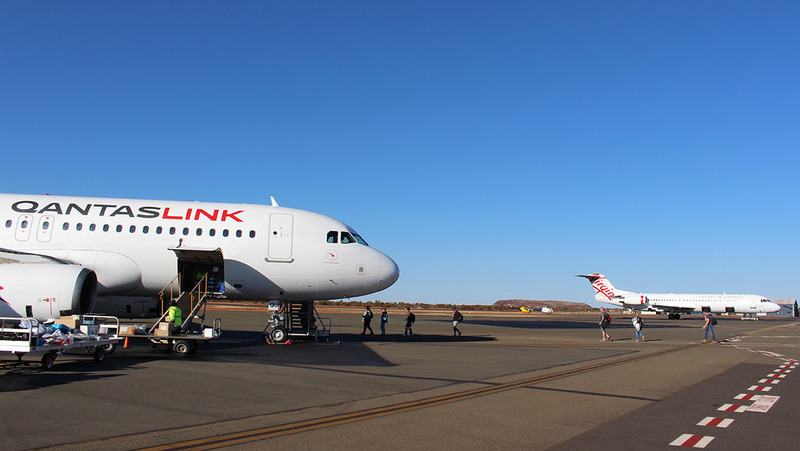 Replacing most domestic Qantas mainline flights with Qlink branded A320’s is probably the long term management goal. Operating costs are much lower because the Network pilot body sold themselves out to get the shiny new toy. Time will tell whether they actually find pilots willing to work for relatively poor salaries given the pilot shortage, just have to look at Jetconnect’s struggle to find quality applicants. Didn’t they also fancy the MD-80?